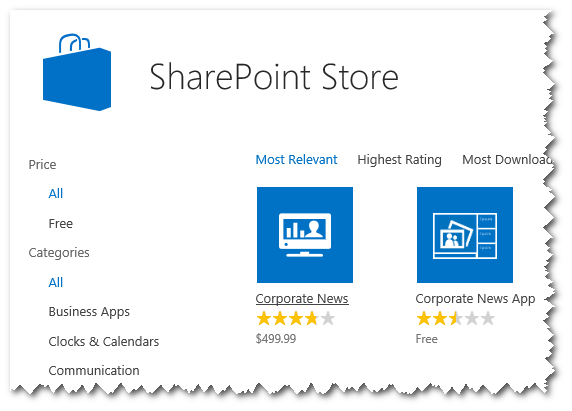 Enable the App Catalog on SharePoint 2013 | Are you a user? For the most part, I followed Alex’s blog post. 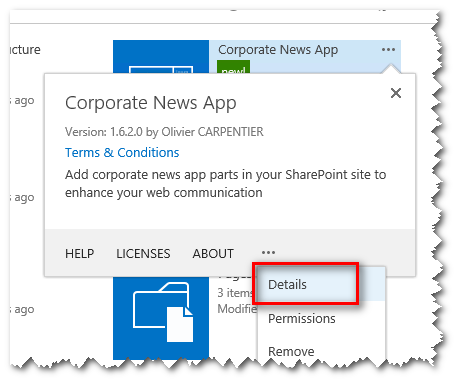 $appPool = Get-SPServiceApplicationPool "SharePoint Service AppPool"
Visit the Manage Service Applications page in Central Admin and verify that both the App Management Service App and Subscriptions Settings Service App are provisioned and started. Create an app catalog. 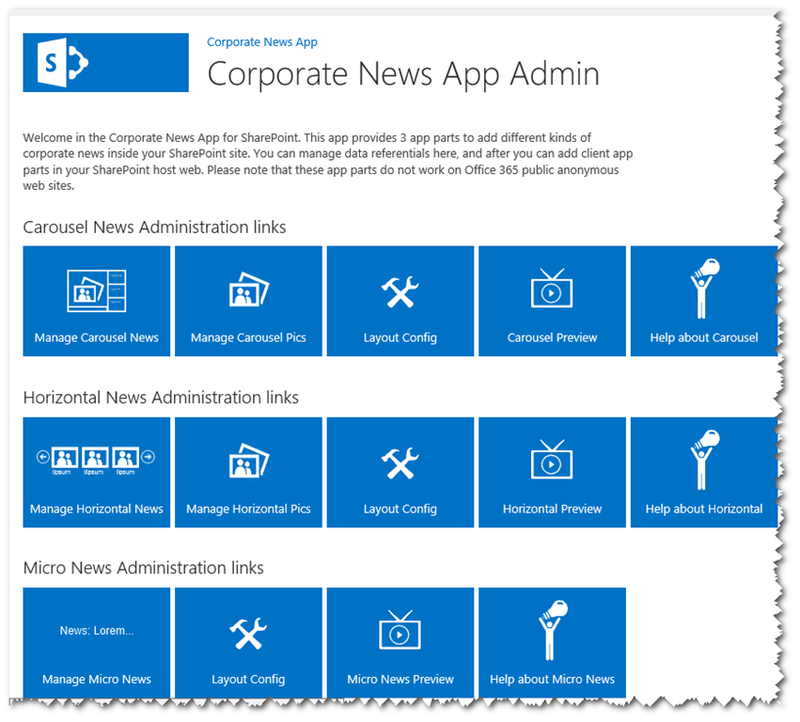 From SCA, select Apps|Manage App Catalog. Be sure and select the correct web application where you want the app catalog created. You’ll get a page where you can fill in all the app catalog details. 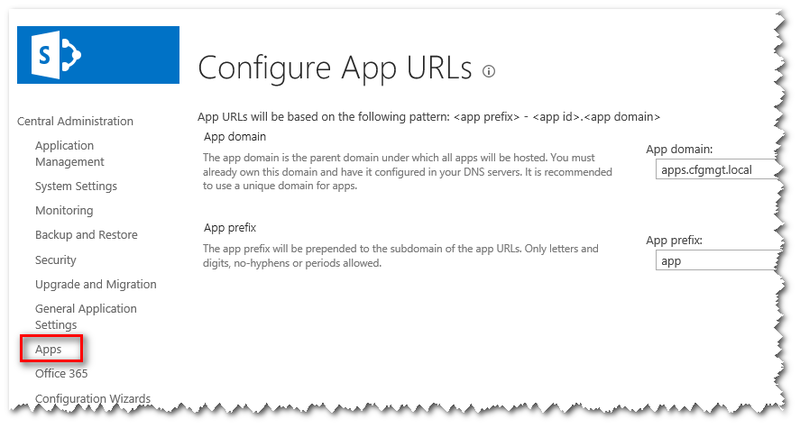 Configure the app URLs. 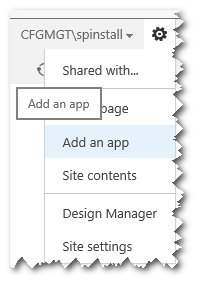 From SCA, select Apps|Configure App URLs. 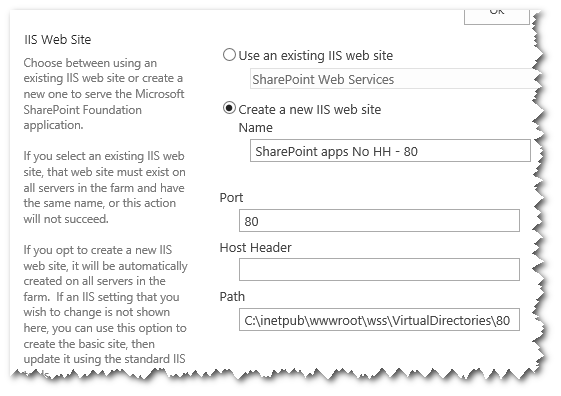 You need a web application (no site collection needs to be created in it) on port 80 that has no host header. Others have stated you need to create a site collection, but I haven’t had to. Here are some details, with screen shots, of what I did. Created a web application on port 80 with no host header. Changed the public URL so it wouldn’t conflict with my default site, CMSP2013. Used an existing app pool. Each app pool has a lot of overhead, so you don’t want to make too many unless you have a good reason. Changed the name of the content database to match my naming conventions. I then initiated the creation of the new web application. 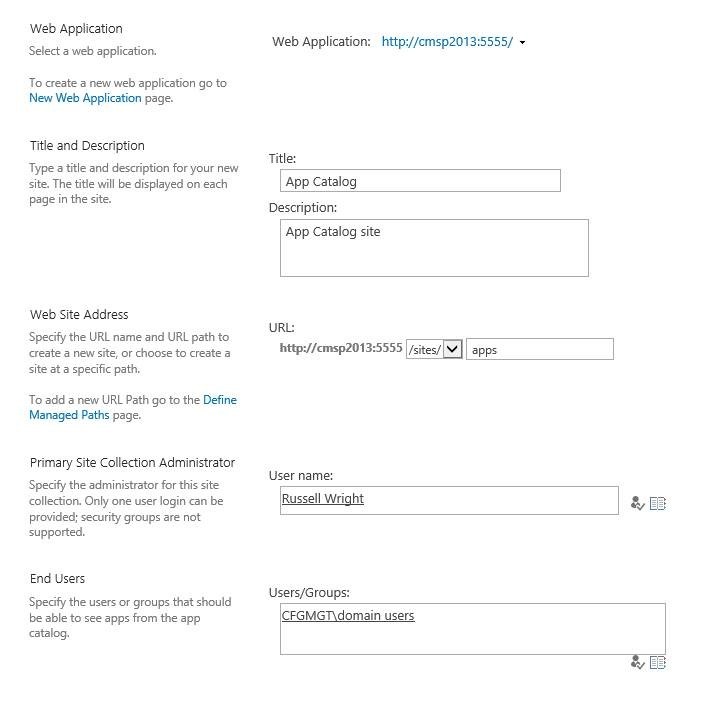 To create an App Catalog use Manage App Catalog. Select the appropriate web application. An app catalog is associated with a single web application. 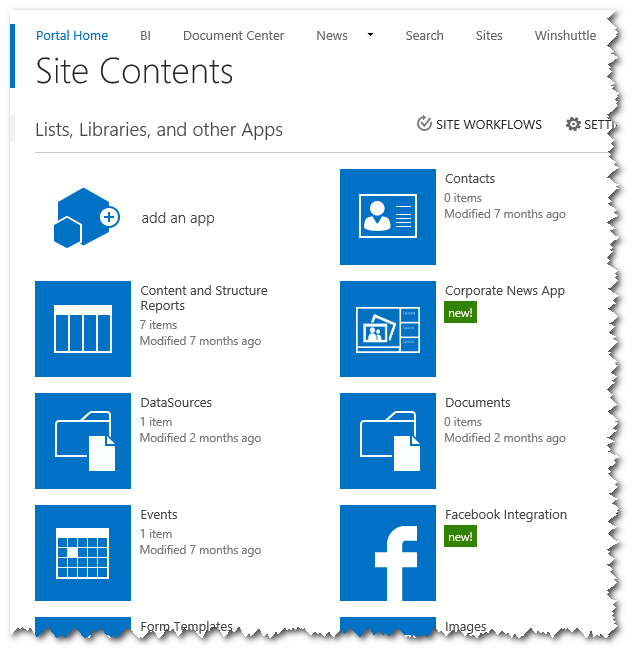 Fill out the details to create the App Catalog site collection. So then we go to add an app. Find the Corporate News app. Pick the free one, because we’re cheap! Go through the download and trust process. If we look at our Site Contents, we should see the apps that have been downloaded. If you click on one, you should get the app’s administration page. If you don’t have your port 80 web application with no host header set up, this will return an error (404) due to the way it redirects using a GUID. Here’s an example URL that uses the subdomain previously set up in DNS. And adding the App Part (like adding a web part) to the default page for testing it out. I attempted to look at the details of an app that was downloaded and installed and SharePoint threw an error with a correlation ID. 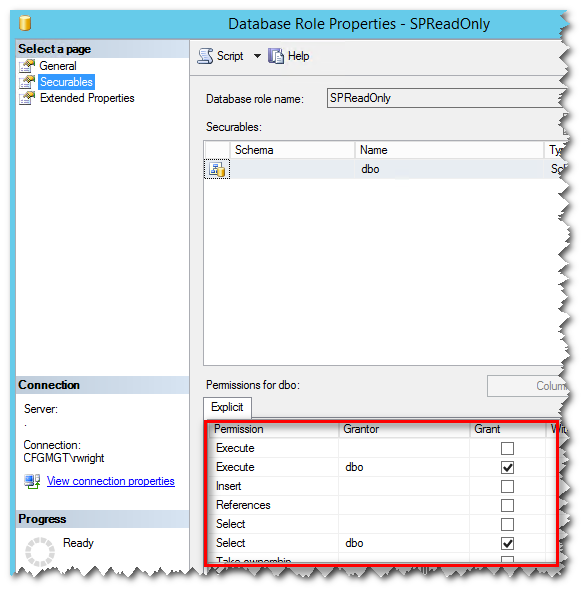 Insufficient SQL database permissions for user ‘Name: NT AUTHORITY\IUSR SID: S-1-5-17 ImpersonationLevel: Impersonation’ in database ‘SP15_UsageAndHealth’ on SQL Server instance ‘SP2013SQL’. 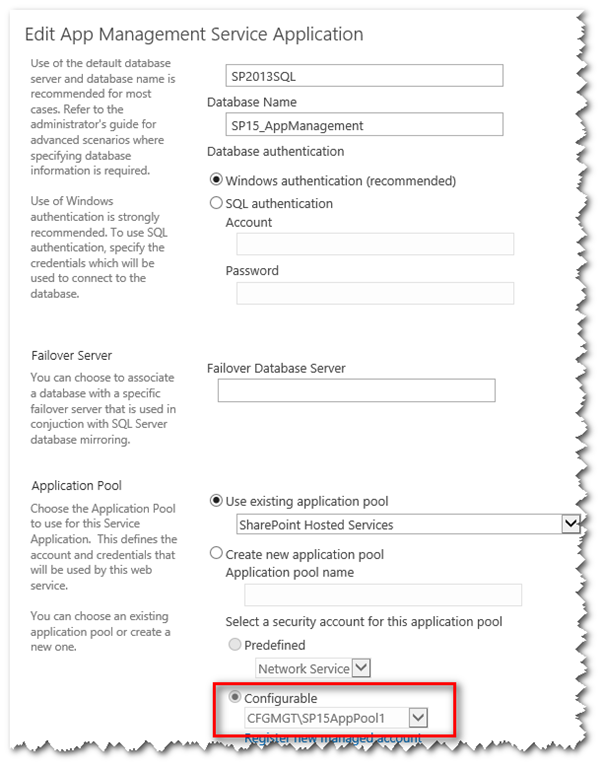 Additional error information from SQL Server is included below. The EXECUTE permission was denied on the object ‘prc_CountAppInstanceData’, database ‘SP15_UsageAndHealth’, schema ‘dbo’. This was resolved by identifying the account under which the App Management Service was running (don’t let the NT AUTHORITY\IUSR account throw you off). Next, SQL was investigated for the SQL Login and it was found only a few stored procedures had been granted access to the login. 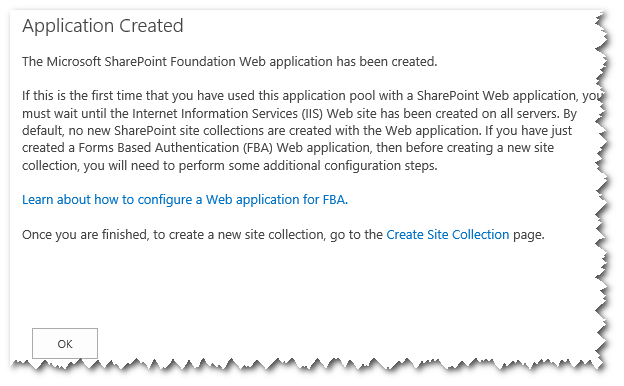 Instead of adding the stored procedures either individually or en masse, I decided to put the login into one of the existing SharePoint roles. 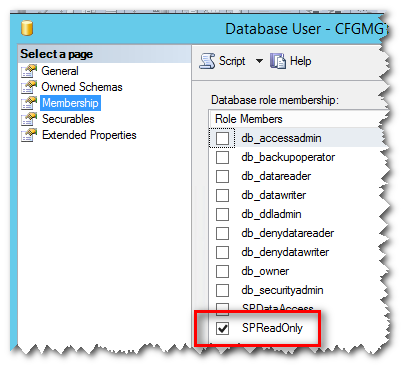 I appears that putting it into the SPReadOnly database role provides the required execute permissions for the stored procedures. And for reference, you can see SPReadOnly provides Execute and Select permissions to the database. 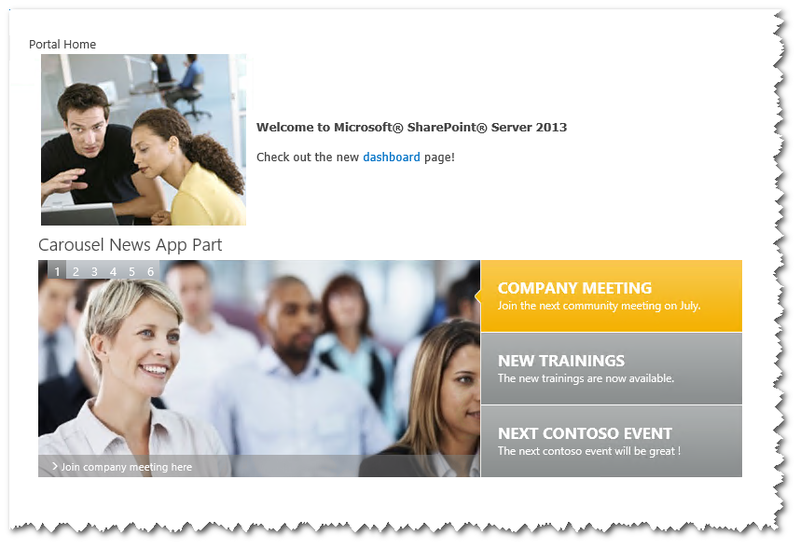 « SharePoint 2013: The server was unable to save the form at this time. Please try again.